Marriage is a long-term commitment. When you looked at your partner and said, "I do," you were both joined in a deeply profound way. However, while the vows might say, "Till death do you part," there are times where a marriage just doesn't work out. 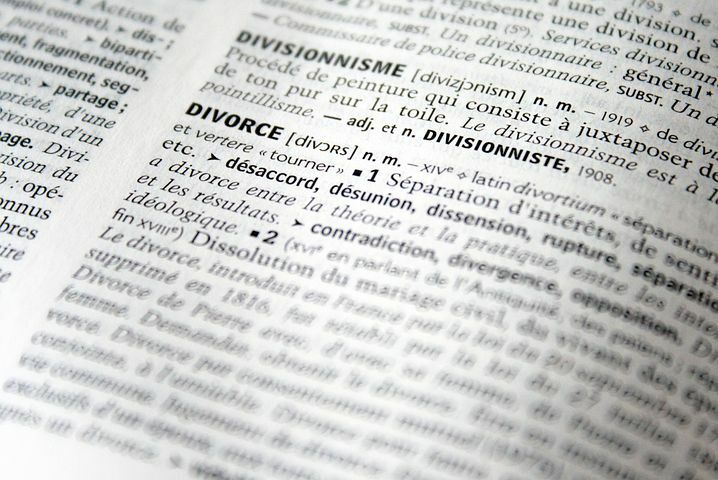 Whether it's because you weren't really right for each other to begin with, or because you became very different people over the years, divorce is a fairly common reality in the world we live in. Once upon a time, getting married was a sure sign that you'd become an adult. It was a sign that you were ready to start your own life, and that you had found someone to help build that life with. However, as Your Divorce Questions points out, getting married while you're still young is a major factor in getting divorced down the road. Why is getting married young a problem? Well, for one thing, it likely means you and your partner haven't had the chance to get to know one another deeply and intimately. Additionally, lack of life experience can mean that marriage is not what you expected it to be, and you find that you got into a situation that really wasn't for you. Lastly, and perhaps most importantly, none of us are the same people we were when we were young. As we grow and change, we often find that our relationships have to grow and change with us. If they don't then they become stifling, and that leads to the cliche-but-true situation of you and your spouse feeling like strangers to one another. Marriage is a partnership, and like any partnership both members need to do their part, and pull their weight. According to MSN, as much as 44 percent of people surveyed said they felt a lack of equality in their relationship was a major factor in their divorce. Responsibility needs to be evenly distributed for a marriage to work. Decisions need to be made together, and each partner has to shoulder their share of their household's commitments. That might be something as relatively minor as making sure you both handle your share of the household chores, or it might mean making sure you each have an equal stake in major financial decisions. Equality looks different for every couple, but it has to be there, otherwise it can put a serious strain on your partnership. Speaking of important financial decisions, as the Independent points out, one of the most common reasons for couples to break up and file for divorce is money. It's true that money can't buy love, but it can buy a lot of other things. It can buy food, comfort, security, healthcare, vacations, and even marriage counseling if that's something you find you need down the line. Having enough money allows you, as a couple, to cover all your bases and to avoid a lot of stress. While that won't fix a relationship that has other problems, the constant strain of not being able to pay all your bills can be enough to lead a marriage to uncontested divorce all by itself. Which is a good reason for any couple to make sure they feel secure before joining their lives together. While these are technically two separate issues, they're often joined at the hip when it comes to causing problems in a marriage. Partners who are possessive or jealous over their spouse can cause problems with their behavior (both with their spouse and with their social circle, leading to additional, unnecessary stress on everyone around them). And while jealousy is bad enough on its own, infidelity can be even worse. This breach of trust can make it difficult for a couple to rely on one another, and it can sow suspicion even in innocent, mundane comments or actions. Additionally, infidelity is often tied to deeper issues in a partner, or a relationship. Those issues need to be addressed if a couple is going to stay together, and move forward after something like that happens. When we marry someone, we like to think that we know who they really are. However, even if you think you've uncovered all the rocks, and that you know who your partner really is deep down inside, there are often things that surprise you. Things that are difficult to overcome, and that can contribute to a marriage failing. As a for instance, take attitudes about children. If one partner doesn't want to have children, but the other does, that is a significant difference of opinion that is going to come to a head sooner or later. Even if both partners agree that they want children, though, opinions about how they should be raised, if they should be inducted into a particular religion, and a dozen other factors can all lead to heated arguments, and stress fractures in a marriage. Feelings about political and social issues (attitudes about gay or trans rights, for example, or attitudes about gender equality) can also lead to significant friction is they are deeply held and very important. While it is possible to make a marriage work, sometimes there is just too much weight for both partners to carry. Whether you got married for the wrong reasons, or you've become very different people than you were when you said your vows, sometimes it's better to go your own ways. Whether that means seeking an uncontested divorce, or looking for divorce mediation in Chicago in order to make sure things are handled as swiftly and fairly as possible, you should pursue the options that are best for you, your marriage, and for your unique situation. Our divorce mediation attorneys in Chicago help couples reach an uncontested divorce through our dedicated mediation process. Contact Split Simple today at 312-238-9595 to discuss how we can help you through this difficult process.